If you are experiencing lower back pain and/or leg pain after a workout, try performing the piriformis stretch. Though not proven the culprit, many doctors often point to the piriformis muscle when their patients complain about pain shooting from their lower back down through their hamstrings. Stretching your piriformis muscles before and after a workout can also prevent pain and injury to your lower back and legs, and it can be done anywhere... for free! You don't get that deal everyday! DISCLAIMER: I am not a doctor. Perform at your own risk, or consult a doctor. Educating yourself on your anatomy will help you perform the stretches and workouts correctly. Understanding how your body works will help you maximize your workout session and help prevent you from injury. The piriformis runs from the side of your hip to your pelvis. It is a flat, triangular muscle and it is attached to the bone between the first through fourth anterior sacral foramina (the ends of the ridges of the sacrum's pelvic surface). It often partly blends with the obturator internus muscle and the gemellus muscles. The piriformis is one of the muscles that allows you to rotate your thighs, specifically outwards. It also abducts (moves your limbs away from the median plane of your body) your thigh which allows you to shift the weight of your body as you walk, keeping you from falling. Stretching your piriformis muscles can literally reduce any pain or tightness in the back of your legs, buttocks, hamstrings, and perhaps your calf muscles. As many of these pains stem from the piriformis, stretching it will help prevent further pain and tightness. The good news is that there are several different ways to stretch your piriformis, and some you can even do at work! As you are probably sitting down, I invite you to perform this stretch now. 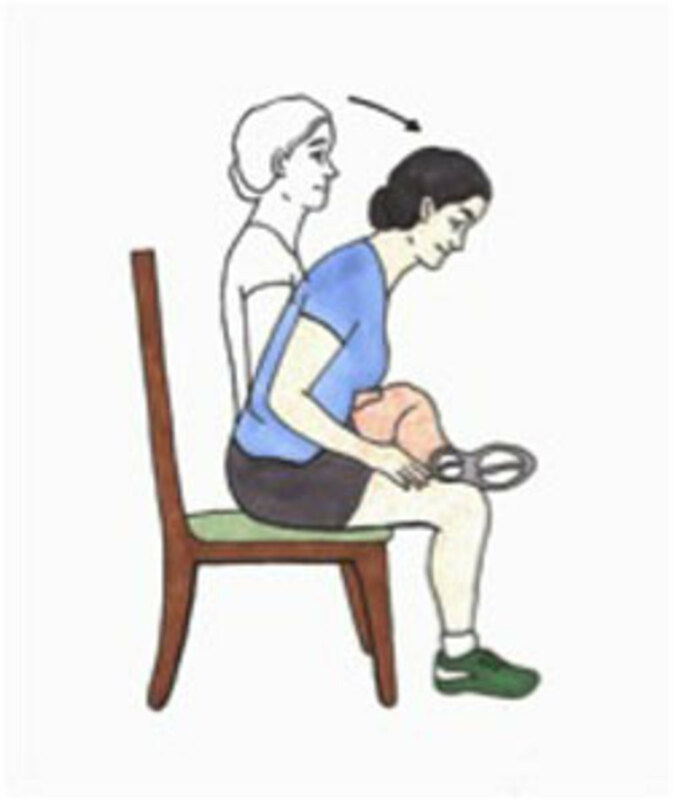 Sit up straight and pull one leg up, resting your ankle on your opposite knee. Make sure your leg is parallel to the floor. Slowly bring your chest forward until you feel your hips begin to stretch. Make sure your back remains straight through the whole stretch. Stay in that position for 20 to 30 seconds then slowly raise your body back up. If you would like, perform the stretch again. Once you have finished one leg, move on to the other leg and repeat the same. As time goes on and your flexibility increases, you should be able to lean your chest in further before feeling the mild stretch on your hips. Dr. Hoffman shows the proper way to do this stretch. You may have been absentmindedly stretching your piriformis muscles ever since you were young. You might even be doing now as you are reading this hub. Sitting cross-legged for 5 to 15 minutes a day will help you open up your hips and stretch your piriformis muscles. In fact, you may recognize this position as a yoga pose or as a position of meditation. It will help the back of your pelvis and your back and inner thighs to become more flexible and improve the rotation of your hips (sound familiar?). If you can't seem to sit in this position for very long without pain, stand up and move around. Return to the position after a few minutes. Do a total of ten minutes per day and you will gradually see how your flexibility will improve. 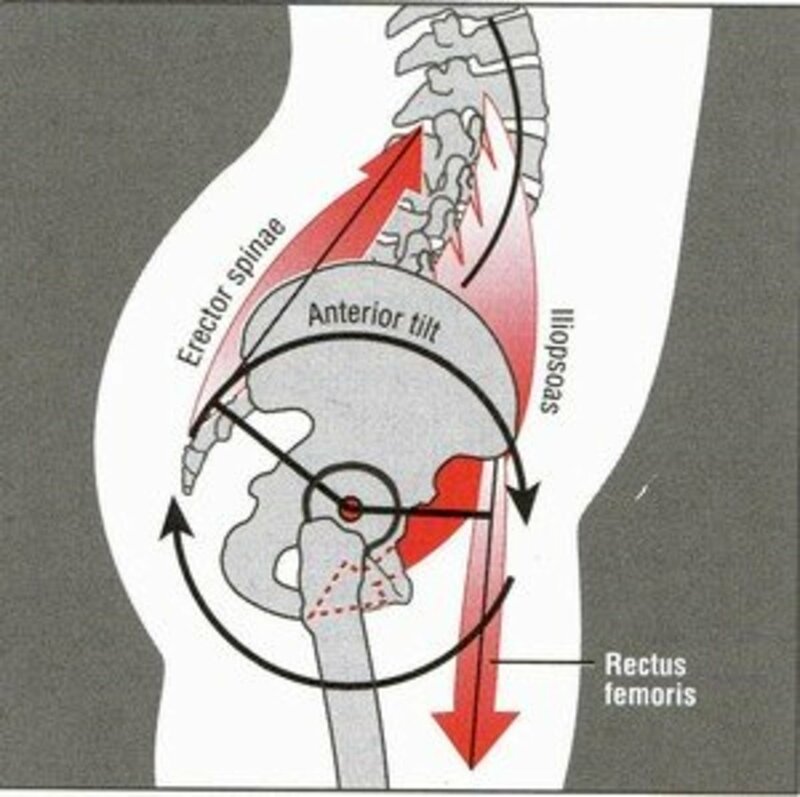 When people think of the piriformis stretch, most think of this particular stretch.This exercise will stretch your piriformis more intensely than the previous exercises talked about on this page. 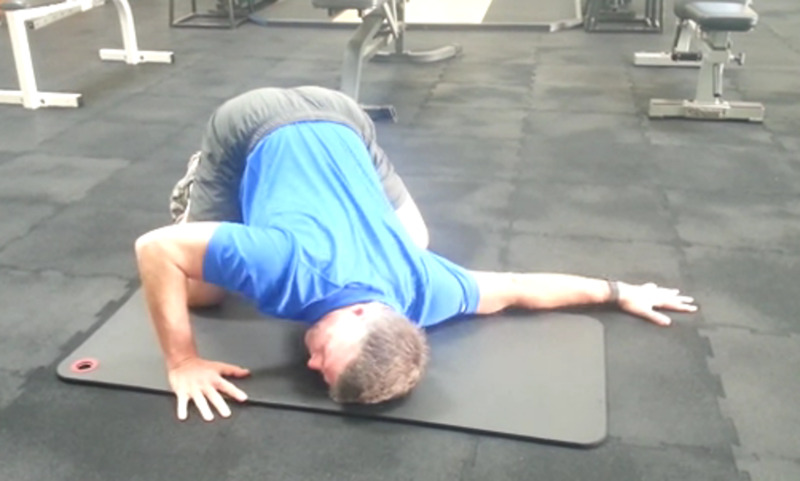 To perform this stretch, you will need to lay down on the floor or an exercise mat. Then, cross one leg over the other as you would have done in the chair pose. Slowly lift the other leg off the floor and pull it toward you, allowing it to put a little pressure on your bent knee. Put your hands through the opening in your legs to help hold yourself in your current position for 30-40 seconds. Then lower your legs and repeat with the other leg. If you are a yoga enthusiast, you may recognize the pigeon pose. If you have problems in the other piriformis stretches, you may want to work up your flexibility before trying this pose. Though the picture on the left may be your ultimate goal, know that there is an easier version that you may be able to master first (watch video below). To perform this pose, you will need to either get into a standard push-up position or into downward dog pose. Then, slide one knee up toward your hand on the same side. Slowly angle your knee so that your leg is under your body and the outer part of your ankle is touching the floor. Then slide your opposite leg back as far as possible (stay comfortable). Make sure that your hips stay square to the floor. During the pose you should feel a stretch in your glutes, outer thigh and hips. Breathe slowly and deeply for 45 seconds to a minute, then get back into your beginning position and repeat the stretch with your other leg. Watch Lexi go from the downward dog pose into the pigeon pose. Properly performing these stretches can improve the flexibility in your hips, relieve some back and leg pains and prevent yourself from injury. As with all exercise programs, poses and stretches, make sure that you check with your doctor before taking the plunge. I walked up and down a 125 stairs and my legs are so sore I can't sit and walk or stretch for a very long time what should I do ? I can't sleep with this pain. You did a great job explaining this. This stretch is essential. I like how you included the office stretch. Voted up and truly excellent! I am going to try this as I have bad pain coming from my back and down my thigh on my left side. Any info is greatly appreciated. I have some numbness below the knee and hope this will help. Wow. Wish I'd known about this a long time ago. Thanks much! WIll definitely be looking your other hubs over. Thank you for your comment aniebs and I hope your back pain will go away! Good info. I have a bad back and will be using this stretch. Thanks!